The relationship between U.S. presidents and the Church has changed dramatically over the centuries. Early antagonists such as Martin Van Buren and James Buchanan were eventually succeeded by friendlier presidents like Grover Cleveland and Teddy Roosevelt. More recently, presidents such as Dwight D. Eisenhower, Richard Nixon, and Ronald Reagan relied on LDS statesmen as key advisors or cabinet members. And in 2004, President George W. Bush presented President Gordon B. Hinckley with the nation's highest civilian honor, the Presidential Medal of Freedom. Here are some of the highlights of the complex relationships between leaders of the country and leaders of the Church as they slowly evolved from suspicion to tolerance, and ultimately, to respect and admiration. George Washington has always been highly regarded by the Latter-day Saints. The grandfathers of the Prophet Joseph, Asael Smith and Solomon Mack, fought with the patriots in the Revolution, and when the Prophet organized the Nauvoo Legion, he gave himself the rank Washington had held--lieutenant general. The mimicry of the Father of the Country was seen as very presumptuous by anti-Mormons and contributed to the animosity against him. With the exception of George Washington, no other military officer held a rank that high until 1847 during the Mexican War. Wilford Woodruff said of Washington and his fellow founders that they were "the best spirits the God of Heaven could find on the face of the earth . . . . General Washington and all the men that labored for the purpose [of establishing this country] were inspired of the Lord." During Jackson's presidency, the Saints relocated to Ohio and built the Kirtland Temple. They also began settling Jackson County, Missouri, which had been named after the popular president. By the time "Old Hickory" left the White House, the Saints had been expelled from both Jackson and Clay Counties and had regrouped at Far West in Caldwell County. They remained pro-Jackson throughout his administration, however, even though he was unable to help them. Eight U.S. presidents later, when James Buchanan was sending Johnston's army to Utah at the behest of lying advisers, Brigham Young reminisced publicly about the days when the strong and independent Andrew Jackson was America's chief executive. "I wish that Old Hickory Jackson was now our president," he said. "If we had a man in the chair who was really a man, and capable of magnifying his office, he would call upon his servants and order them to kick those mean, miserable sneaks of out of the presidential mansion, off from its grounds, and into the streets." LDS agent Jesse C. Little and LDS friend Thomas L. Kane were instrumental in persuading President Polk to commission the Mormon Battalion. The late 1840s saw both the presidency of James K. Polk and the Mormon migration across the plains to the Great Basin. Consequently, the Church's primary interaction with this president was in requesting assistance in their trek west--which resulted in the Mormon Battalion. Because of this, James K. Polk is considered to be the first president who could be called a friend of the Saints. He defended their right to practice their religion and to emigrate west, and in return enjoyed their political support. After a meeting with Elder Little, a Church representative sent to ask the government for assistance, President Polk recorded in his diary, "I told Mr. Little that, in accordance with our constitution, the Mormons would be treated as all other American citizens were, without regard to the sect to which they belonged or the religious creed which they professed . . . I told Mr. Little that we were at war with Mexico, and asked him if five hundred or more of the Mormons now on their way to California would be willing on their arrival in that country to volunteer and enter the U.S. army in that war, under the command of a U.S. officer. He said he had no doubt they would willingly do so." On June 19, 1846, Colonel Stephen W. Kearny sent Captain James Allen to Iowa with a "Circular to the Mormons" requesting five hundred volunteers immediately. While some Latter-day Saints were skeptical, most shared Elder Wilford Woodruff's view that "the president was very favorable to our people and had taken this course for our good. We were convinced that God had begun to move upon the heart of the president . . . to begin to act for our interest and the general good of Zion." Brigham Young wrote Polk a letter dated August 9, 1846, in which he referred to the calling up of the Mormon Battalion as an act assuring the Saints "the personal friendship of the president." President Young also assured Polk, "We have the fullest confidence in the friendly protection of President Polk," and that "our faith, prayers, and blessing shall rest upon him." Salt Lake City prepares to celebrate Utah's official statehood by dressing the new capital city in stars and stripes. As a result of the anti-polygamy stances of the previous six Republican administrations, the Saints saw a flicker of hope as Grover Cleveland became the first Democratic presidential victor in twenty-eight years. In the campaign of 1884, the Republican platform was harsh in its stance against the LDS Church, while the Democratic platform was not only silent on the Mormon question, but also advocated that territorial officers should be selected locally. Cleveland became the Saints' best friend in the White House since Millard Fillmore. Utah statehood would be the result. Cleveland began preparing Utah for statehood during his second term. For the first time in decades, local residents--including Latter-day Saints--were appointed by the president to federal positions within Utah Territory. In July 1894, Cleveland signed the Utah Statehood Bill, which authorized Utah to hold a constitutional convention. In March 1895, the Utah Constitutional Convention met in Salt Lake City, and the resulting state constitution was overwhelmingly approved by the people of Utah. On January 4, 1896, President Grover Cleveland signed the proclamation admitting Utah to the Union as the forty-fifth state. In the ever-changing relationship between the White House and the Saints, it would not be an exaggeration to say that no president did more than Theodore Roosevelt to bestow national legitimacy on the LDS Church. It would have been unthinkable just a few administrations prior to see the nation's chief intervene to help an LDS apostle secure his Senate seat or to visit Salt Lake City, fully embracing her inhabitants and even speaking at the pulpit in the Tabernacle. In his 1900 campaign swing, Roosevelt struck up a friendship with Ben E. Rich, a charismatic mission president who spent an entire railway trip explaining the doctrines and history of the Church to Roosevelt. The future president walked away from his discussion with Elder Rich with a copy of the Book of Mormon in hand, saying he had "never listened to a more interesting account of a great people and a great religion." George Albert Smith stands with Herbert Hoover. During his long career of public service, Herbert Hoover developed very positive impressions of the Church. From his years as chair of the American Relief Committee, he developed an appreciation for the Church's welfare efforts and self sufficiency. From his time as secretary of commerce as well as president, Hoover developed a strong friendship with Reed Smoot--even allowing the apostle to spend his honeymoon at the White House and traveling to Utah to campaign for Smoot's re-election. Also from his time in the White House, and especially in his thirty-one-year post-presidency, Hoover corresponded often with First Presidency member J. Reuben Clark Jr., whom he had appointed as ambassador to Mexico. He also developed a good friendship with Elder Ezra Taft Benson during the future Church president's years in Eisenhower's cabinet and even wrote the foreword to one of Benson's books. In 1960, at the request of Bishop Loftis J. Sheffield, Herbert Hoover gave a public statement on his feelings toward the Church. He said, "I have had the great privilege of association with the leaders of the Church of Jesus Christ of Latter-day Saints for more than forty-three years. I have witnessed their devotion to public service and their support of charitable efforts over our country and in foreign lands during all these years. I have witnessed the growth of the Church's communities over the world where self reliance, devotion, resolution, and integrity are a light to all mankind. Surely a great message of Christian faith has been given by the Church--and it must continue." Without question, the friendship between Lyndon B. Johnson and David O. McKay was the strongest bond between a Church president and U.S. president in history. This unique bond forged between a wily politician and a benevolent churchman was as real as it was unlikely. Some might say that Johnson's seeking counsel from the prophet, and to some degree Eisenhower's enlistment of Ezra Taft Benson, was fulfillment of a hundred-year-old prophecy of Brigham Young's first counselor. "The President of the United States," declared Heber C. Kimball, "will come and consult with the authorities of this Church to know what is best to do for his people." This relationship benefited LBJ when Utah reversed its right-wing slant of 1960 to support Johnson in 1964. The relationship benefited the Church when Johnson was able to solve a conundrum with the Defense Department regarding LDS chaplains. On September 17, 1964, President Johnson made an unscheduled stop in Salt Lake City while en route to Sacramento. "I could not fly over Utah without stopping to see President McKay," he said. "I always feel better after I have been in his presence." Following the brief, spontaneous visit, Johnson wrote President McKay: "Strong friendships seldom depend upon frequency of visits for their strength and meaning. While we have had too few occasions to be with you, both Lady Bird and I draw deep strength and inspiration from our bonds with you. I felt that strength especially last week as we flew back to Washington after meeting with you." President Gordon B. Hinckley took President Ronald Regan on a tour of the Ogden Area Welfare Service Center on September 10, 1982. Picture from Deseret News. Although Theodore Roosevelt did the most to bring the Church into mainstream America, Ronald Reagan had the most positive relationship with the Church of any American president to date. "President Reagan knew and loved the Latter-day Saints and held the Church in highest regard," remarked former LDS Reagan aide Stephen M. Studdert. "From his days as governor of California, the doctrines and the principles of the Church drew his frequent interest. As president he often asked about Church programs. 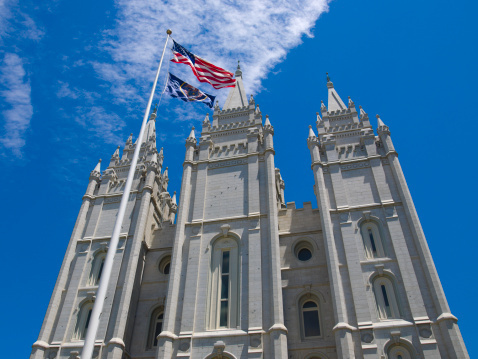 He recognized the Church's moral leadership and social influence, even declaring, 'A Mormon contribution to American life is beyond measuring.'" Prophet Gordon B. Hinckley receives the Presidential medal of Freedom from US President George W. Bush. Photo from Deseret News. Among the Saints, George W. Bush will be remembered for bestowing the Presidential Medal of Freedom on President Gordon B. Hinckley and for inviting the prophet to the White house after the tragic events of September 11, 2001. The second President Bush did not have as many LDS staffers as did Ronald Reagan, but he did appoint more church members to judgeships than any previous president, and he utilized Latter-day Saint Mike Leavitt in his cabinet. Bush also participated with church members and the Tabernacle Choir during the 2002 Olympic Winter Games in Salt Lake City and, like many recent presidents, he had the choir sing at his inauguration. Bush visited Salt Lake City on August 30 and 31, 2006, to speak at an American Legion convention. It was his first overnight stay in Utah, and people close to the president report that he was truly buoyed up by the trip. He received a warm reception from the First Presidency, and they spoke with Bush and Deputy Chief of Staff Karl Rove for forty-five minutes. The contents of this meeting were not made public, but it marked the fifth time President Hinckley and President Bush have met and represents the ever-improving progress in the relationship between the White House and the Church. Prophet Monson S. Monson visits with US President Barack Obama in July 2009. Barack Obama actually began his interactions with the LDS Church before his presidency--during his presidential campaign in 2008, he canceled a trip to Salt Lake City planned for February 2 out of deference to President Gordon B. Hinckley, whose funeral was to be held later that same day. After his election, the new church president, Thomas S. Monson, visited Obama in the white house as a "courtesy visit" where he presented the 44th US President with five leather-bound volumes detailing generations of Obama's family history. 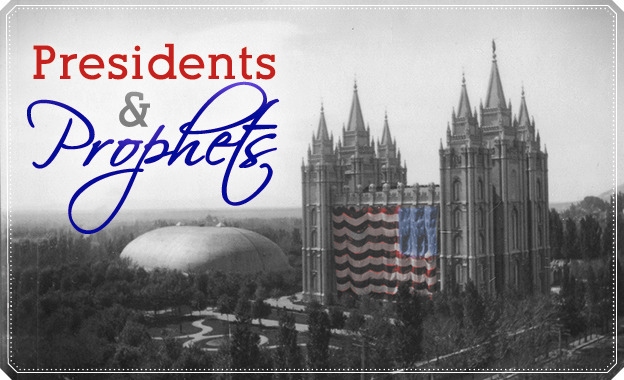 Read more about US Presidents' interactions with LDS prophets in Presidents and Prophets by author Michael K. Winder. Michael K. Winder is a lifelong student of the American presidency and Church historian. He has an MBA and Honors BA in history from the University of Utah. He also completed an exectuve leadership program at Harvard's John F. Kennedy School of Government. In 2005, Mike was appointed to the Utah Board of State History by Governor John Huntsman, Jr. 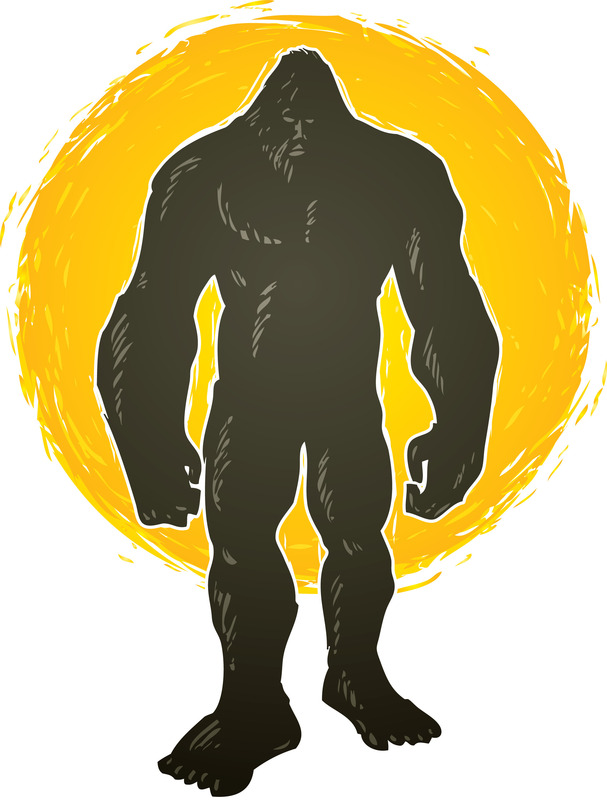 He is the author of six books and lives in West Valley City, Utah, with his wife, Karyn, and their three children. This article was originally published in the Sep/Oct 2007 issue of LDS Living magazine.